50 Refinished Bridgestone B330 AAAA/Near Mint Grade just $64.99, save $15.00! 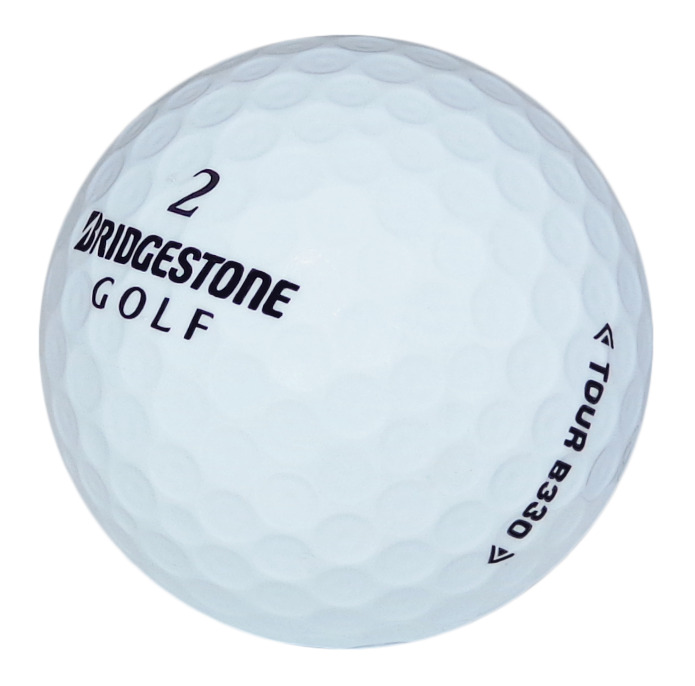 Bridgestone’s reputation for golf balls has been firmly established with the B330 Range which includes balls with the subtle differences allowing a golfer to select a perfect match with their game. The B330 feels harder than others in the range and is ideal for golfers with a swing speed of over 110 mph, the top quality golfers, or for those with a natural high trajectory but feel as if the ball tends to balloon and lose distance.It provides distance, consistency and control around the green using a relatively low flight and less spin than others. There is reduced spin off the driver head and with long irons while the cover promotes the balls playability. Bridgestone have patented a dual dimple design after researching how to make best use of aerodynamics. Each B330 from Lost Golf Balls goes through a stringent inspection test after cleaning to ensure that any golf ball not up to standard is rejected. It is the least we can do hen Bridgestone has put so much effort into its design and manufacture. 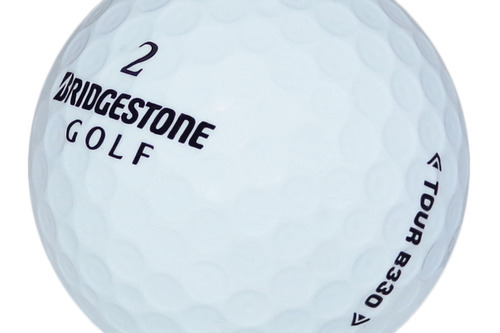 Bridgestone began making golf balls back in the 1930s in Japan forty years before it became a prominent name in golf; it remains the number one ball in Japan but now has a strong worldwide reputation. For many years the Titleist Pro V1 and Titleist Pro V1x have reigned supreme at the top of the golf ball leaderboard, however with the B330 Bridgestone has stamped itself as a company with the shot play to match it with the best. Low handicap and amateur golfers will find that the B330 feels slightly more "crisp" than the Pro V1 but provides equal if not more distance off the tee and control around the greens. Players who know the game and know their golf balls will realise that the B330 belongs up there with the likes of the Callaway Tour Is, Callaway Tour Iz and Srixon Z Star at the pinnacle of the game.